Subject : Get a quote for Product lead "Pneumatic Spot Welder/Automatic Spot Welding Machine"
Applications:1.Mild steel sheet, stainless steel sheet, galvanized metal sheet spot welding.2.Metal sheet fixing welding before continues rolling seam welding.3.Welding fan guard (with proper designed fixing and driving system), welding metal art ware, stationery, cook ware.4.With special made electrode, it can weld small mesh, birds cage, pets cage, condenser and similar work piece.5.Weld connection parts, the hinge, nuts and bolt welding, low carbon fasteners and stainless fasteners.6.Welding high conductive material, like aluminum, electrical contact, copper wire etc. (using Middle frequency power)Single plate thickness:1.Uncoated mild steel sheet: 0.4-4.0mm2.Stainless steel sheet : 0.5-4.0mm3.Galvanized steel sheet (hot dip zinc, zinc5 Percent aluminum, zinc55 Percent aluminum and electrolytic ally deposited zinc coated steel sheets): 0.4-2.5mmOur machine features1.Manufactured in accordance with international ISO Standard. 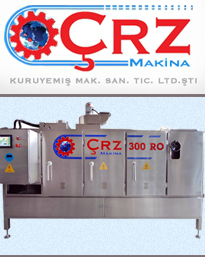 2.European CCC, ISO,CE Certified3.European imported Microprocessor Welding Control has transparent safety cover to protect a keypad and has a lock to allow only authorized personnel to access the program.4.Welding Control maintains main parameters such as welding current weld time, off time, etc. with digital accuracy.5.Any of 23 weld schedules can be easily selected for work.6.Solid machine structure allows you carry out the Projection and spot welding work.7.Improved water-cooling system guarantees flawless performance in heavy-duty applications.8.Machine is painted with Lead-Free paint.9.All materials used in design are environmentally friendly.